© Copyright Protected. Can be used for personal individual study only. 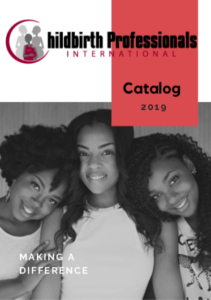 Anyone seeking to become a childbirth educator can start now using the free Childbirth Professionals International study modules. Take childbirth educator workshop to gain practical skills to teach fun inspiring birthing classes. Meet our expert trainers and gain their personal insights to build an amazing career. Modules are updated with new information childbirth educators should know. Join the mailing list to receive notice of updates. Anyone can use the modules. Each module has an outline of concepts you should read about and understand thoroughly. Each module has an assignment to complete to verify your knowledge. Only participants from childbirth educator training workshops have access to the assignments. Take childbirth educator workshop online or face to face to learn practical teaching skills. We have sincerely thought about how best to prepare you as a childbirth educator. Being able to afford your training is important to us. We recommend three books. — A comprehensive guide. You will have enough knowledge to begin teaching based upon this book. — Teaching strategies and class outlines. Great template to build your classes upon. — Advice and practicals on how to find success. Build your career for the long haul. This entry was posted in CBE Study Module Outline and tagged birth educator certification, cappa certification, childbirth educator certification, choose childbirth certification organization, dona certification, free childbirth education handouts, free childbirth education materials, free childbirth education videos, free childbirth tools, icea certification, lamaze certification, scholarships doulas, which childbirth educator organization is best. Bookmark the permalink.